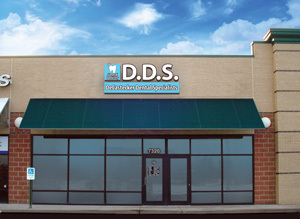 Thank you for visiting DeCastecker Dental Specialists online. With years of experience providing friendly, personalized restorative and cosmetic dentistry, Dr. Estela DeCastecker can help you and your family achieve the radiant, healthy smiles that you deserve. We welcome both English and Spanish-speaking visitors to our state-of-the-art office to receive high-quality care from an exceptional dentist and her dental team. Please contact us today using the information below to schedule your next dental appointment.